Ahoy, WYC! As we turn the corner into 2018, we hope the holidays have been wonderful for you and yours and we can’t wait to catch up on events and travels. See below for the WYC December news and details on upcoming club events – mark your calendars for the annual club business meeting and the Commodore’s Ball! Upcoming events: Watch for and respond to evites. RSVP and pay for the Commodore’s Ball by January 15th! No one looks forward to membership dues, exactly – but getting this bit of formality out of the way right away at the start of the year is truly worth while. WYC is the very best deal going for a very active and exciting Yacht Club. Dues are to be payed by the first of February every year. The web site is already set up to accept your dues digitally as long as you are already a member, or the more traditional check still works. We’ve even added the convenience of ‘The Square’ payment device this year if you would like to swipe your card in person. Our Annual Business Meeting will take place Saturday, January 20th @ 10am @ Sundance Grill. The meeting is conveniently scheduled on the morning of the Commodores Ball in order to allow members to combine these two important club functions. Among the articles of business will be installation of the incoming board. Are you interested in supporting the club and being a board member in 2018? Let us know! Done with the business and on to the Gala of the Year! This years’ theme is Havana Nights; dance the night away in the gorgeous style of vintage Cuba. This is always an incredibly beautiful evening and a perfect way to catch up with everyone after the holiday season and celebrate a successful Yacht Club year and the exciting beginning of a new Yacht Club year. You should have received your beautiful personal invitation via US mail early this month with all the details. Make certain to have purchased Eventbrite Tickets by January 15th or to have mailed a check to be received by January 15th. The cost is $65.00 per person. The ball will take place at the gorgeous new Opus Ocean Grille restaurant just on the other side of Waterford Marina (in Watergate Marina) and festivities will start at 6:30 PM with dinner, dancing and WYC presentations. 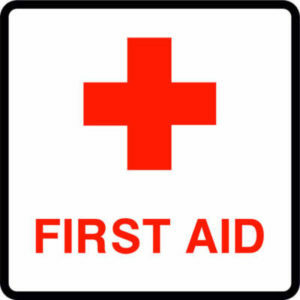 A popular workshop has already been lined up by Daven Voorhies for March this year – “First Aid on the Water” was scheduled ahead due to high demand. Mark your calendars – this will be here before you know it. WYC members were in a festive mood the Friday before the Clear Lake Boat Parade. Despite threats of snow, they bravely walked the harbor to enjoy the decorated boats and then relished the holiday dessert and drinks contest in the Waterford Harbor Marina ice house. 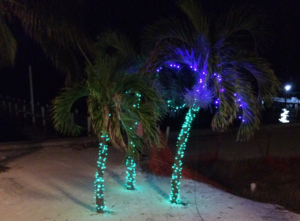 Take a look at some of these beautiful lights and check out how bundled up these guys are! Congratulations to all who participated in the Clear Lake Boat Parade on December 9th as well! In 2012, we decided that it was finally the right time in our life to purchase a sailboat that could lead us to new adventures. We found the Pathfinder through word of mouth and lucky timing. As we discovered the boats rich history, we decided to keep the name to keep her story alive. The Pathfinder is an English sailboat that was commissioned for a retired Officer of the Royal Navy. The name recorded on her British Registry is Pathfinder of Percuil. The boat was later sold to Tania Aebi, who sailed the boat to New York and shortened the name to Pathfinder when registering with the US Coast Guard. The boat made several trips around the world with the Aebi family, the most famous of which has been recorded in the book Maiden Voyage. The boat was subsequently sold to the Moser family who also used it for world travels. The Gelderts, the next owners, traveled the southern hemisphere. Now, the Pathfinder sails Galveston Bay but we hope to set off on adventures soon. Tell us about your recent travels or how your boat got its name! Send an email to newsletter@waterfordyc.com!